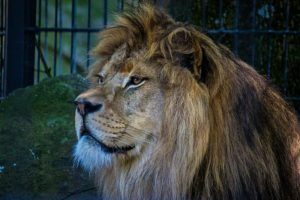 Home › Barbary lion – Panthera leo leo. The Barbary lion (Panthera leo leo) belongs to the family of cats, Felidae. These lion subspecies were native to Northwest Africa, known as Maghreb region, west of Egypt. The habitat of Barbary lions included the Atlas Mountains and the coastal plains (Barbary Coast) of Morocco, Algeria and Tunisia. The Barbary lion is now considered “Extinct in the Wild”. The last recorded shooting of wild Barbary lion took place in the year 1942, near Tizi n’Tichka in Morocco. In Tunisia, these lion subspecies were extirpated by 1890. 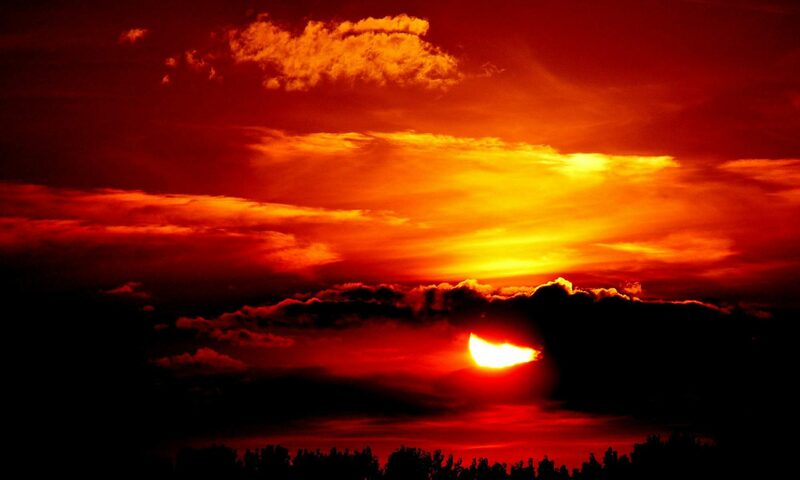 There were reports of their sightings in Algeria until the early 1960s and in Morocco until the mid-1960s. 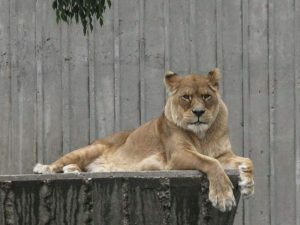 Historically, the morphology and physical appearance of these Barbary lion subspecies was described to be unique and distinct from the African sub-Saharan and Indian breeds. They were described as the largest subspecies of lions, the male weighing between 230 to 270 kilos and the female weighing between 140 to 160 kilos. The head-to-tail length of stuffed males varies between 250 to 280 cm, while in females it is up to 250cm. The Barbary lions had pale grayish yellow coat, with longer fur when compared with their Indian and African cousins. Even the females and young males had long hairs around their neck, throat, back of forelegs and along the belly. The females had comparatively brighter skin fur. Unlike sub-Saharan lions, they had a longitudinal fold of skin running along the belly akin to Indian subspecies. The male Barbary lions had huge thick mane, covering much of their head, neck, throat and shoulders. The mane extended well beyond the shoulders, covering nearly half of the back. It also covered the belly, hiding the belly skin fold. The mane is colored grayish yellow on the head and progressively darken and blacken towards posterior parts. The tail-tuft is well-developed and black. The occiput bone on the back of head is higher and the crown is more pointed than the African sub-Saharan and Indian subspecies. There is narrow postorbital constriction of the skull. The cheeks are rounded and the projecting part of the face is short and narrow. In males the ears are almost hidden in the mane. These lion subspecies were native to Northwest Africa, known as Maghreb region, west of Egypt. The habitat of Barbary lions included the Atlas Mountains and the coastal plains (Barbary Coast) of Morocco, Algeria and Tunisia. Now less than 90 animals exist in captivity, in zoos in Morocco (Africa), Spain, Germany, UK, France, Czech Republic, Austria and Israel Europe and USA. It is theorized that the lion lineage III developed in East Africa and moved north and west. The westward movement settled in Barbary coast and Atlas mountains to form a distinct subspecies. The northbound population moved on to west Asia and India. The populations in West Asia got extirpated due to natural and human factors. The population in India got isolated in Gir forests, being extirpated elsewhere. The Barbary lions inhabited the Atlas Mountains and the coastal plains (Barbary Coast) of Morocco, Algeria and Tunisia. Sir William Jardine, a Scottish naturalist, remarked in 1834, that the expanding human settlements have eliminated these lions from the coast lines. Their habitat included west Mediterranean coastal plains, hills and mountains with forests, Atlas Mountains, the plains of the Chelif River and the cedar forests of Mount Chelia in northern Algeria. Like all lion subspecies the diet consisted of flesh of odd-toed and even-toed ungulates like Barbary stags, wild boars, red deers and gazelles. In the event of scarcity of prey animals they were found to prey on herds of livestocks, coming into direct conflict with humans. Not much known. Historical reports accounted that these Barbary lions were found solitary or in small family groups of male and female with one or two cubs. Observations were made of two lions and a lioness hunting together. With low density of populations, the pride structure may have split into family groups. The Barbary lion is now considered “Extinct in the Wild”. The first step towards decimation of these subspecies was, initiated by the Romans, who used these lions in the Colosseum to battle with gladiators. The 19th century saw reckless killing of these species by organized hunting expeditions. Trapping adults and cubs for zoos also affected the diminishing populations. 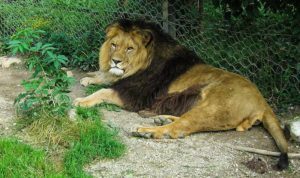 A respiratory disease killed several of the royal lions of King Morocco in the late 1960s. Studies have confirmed that cooler environments, nutrition and the level of testosterone directly influence the size and color of manes in lions. Hence, the huge size and dark color of mane cannot be taken as an unique characteristic and an appropriate evidence of distinct identity of these subspecies. 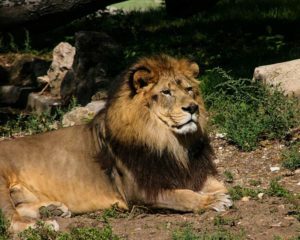 The lion collection of the King of Morocco is the base point for the revival of these subspecies in the wild. They are likely to be partly descendants of Barbary lions. 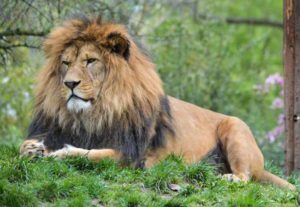 A studbook of lions directly descended from the King of Morocco’s collection has been prepared. 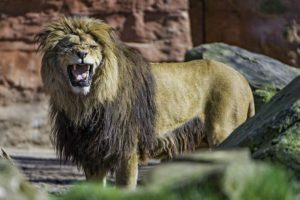 Many of the “Barbary” lions kept in European and American zoos, may be descendants of Morocco collection, albeit, with questionable genetic purity. A careful selective breeding programme may bring back the Barbary lion. 2.Walker, M. (2009). Return of the royal Barbary lion. BBC News. http://news.bbc.co.uk/earth/hi/earth_news/newsid_8109000/8109945.stm. Current topic in Endangered animals: Barbary lion (Panthera leo leo) – Extinct in the wild.